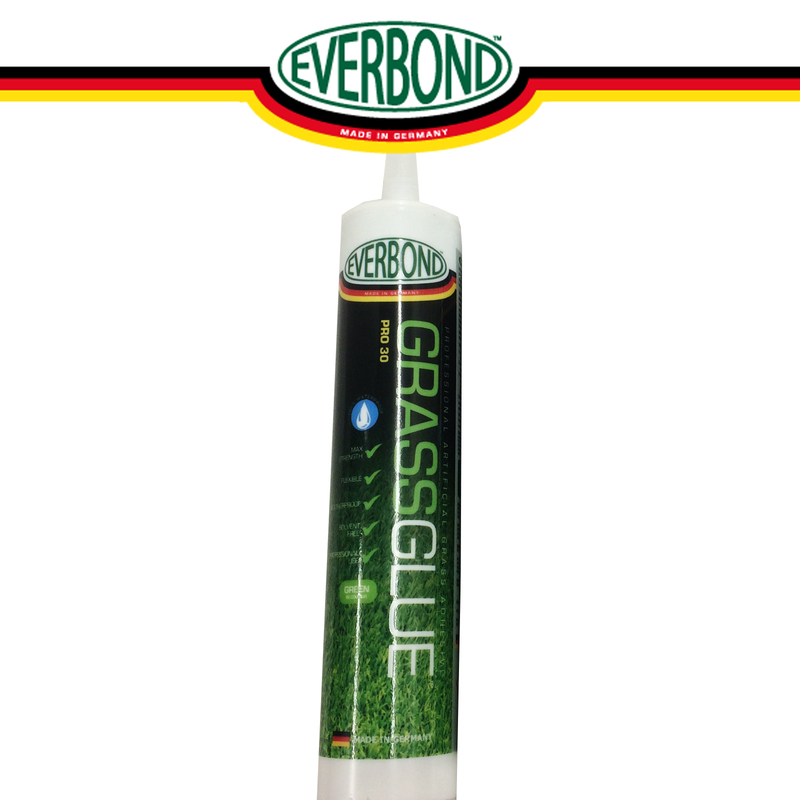 Everbond™ GrassGlue™ PRO 30 – 310ml Artificial Grass Adhesive Cartridge for Joining / Seaming Artificial Grass. You are buying a 310ml Artificial Grass Adhesive Cartridge to use in a standard cartridge gun. If you require more than one cartridge then please select a higher quantity. To apply use our Everbond™ Notched Trowel to spread the adhesive over the seaming tape / concrete / wood / plastic surface. 310ml Everbond™ Grass Glue PRO 30™ Cartridge – MADE IN GERMANY – Per tube you should expect to cover 4-5m in length when spreading with our notched trowel. One component polyurethane adhesive for artificial grass adhesion (outdoor and indoor) excellent ridges. To be used for artificial grass repairs or seams. no mixing – this is a 1 component glue. Unlike a lot of glues where you have to mix with hardener. To be used in conjunction with our high quality Artificial Grass Seaming Jointing Tape which is used to join artificial grass together. 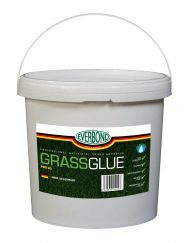 Everbond™ Artificial Grass Adhesive can also be used if you are laying artificial grass directly to concrete, wood or plastic. Please contact us for bulk orders on 01253 884060 – You can order pallets direct from the factory at a cheaper rate per tube.